Son of former Toronto Maple Leaf, Al Carr, Gene was known for his superior skating ability; regaled as the fastest skater in the NHL in the 1970’s. 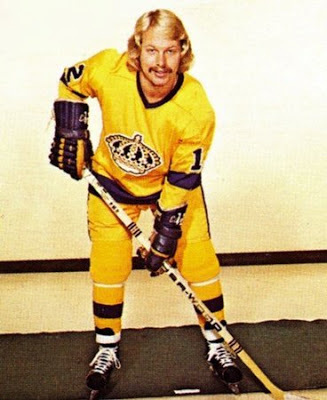 Picked 4th overall by the St. Louis Blues in 1971, Gene played 465 games in the NHL with the St. Louis Blues, New York Rangers, Los Angeles Kings, Pittsburgh Penguins, and Atlanta Flames. Glen Frey of The Eagles wrote the epic hit New Kid in Town in honor of Gene and called his hockey playing friend “Hockey Hollywood”.